Average speeds on local A roads in England are now some three per cent slower than a year ago – and some commentators are now blaming the growth of home deliveries for the slowdown, writes Malory Davies. Figures from the Department for Transport show that the average speed on local A roads during the weekday morning peak in the year ending December 2015 was 23.4 mpg – that 0.7 mph slower than in the year ended September 2015. And the figure for December alone is three per cent down a year ago. The DfT has also produced figures showing that van traffic continues to rise faster than any other vehicle type – up 6.1 per cent to 47.7 billion vehicle miles for the year ended December 2015. 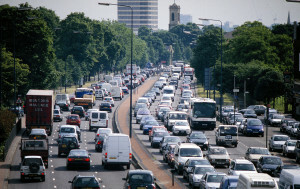 Over the past 20 years van traffic has risen by 72.4 per cent – five times more than cars. At the same time HGV traffic has only risen by 2.2 per cent. As a result, some commentators are now suggesting that that home deliveries are responsible for the slowdown in overall road speeds. “The Times” for example, headlined its story “Traffic slowed by vans with online orders” (The Times, 12th February 2016). However, this ignores the fact that cars still account for the vast bulk of road traffic, accounting for some 248.6 billion vehicle miles – 1.7 per cent up on a year ago. HGV traffic, not surprisingly, was a mere 16.2 billion vehicle miles. 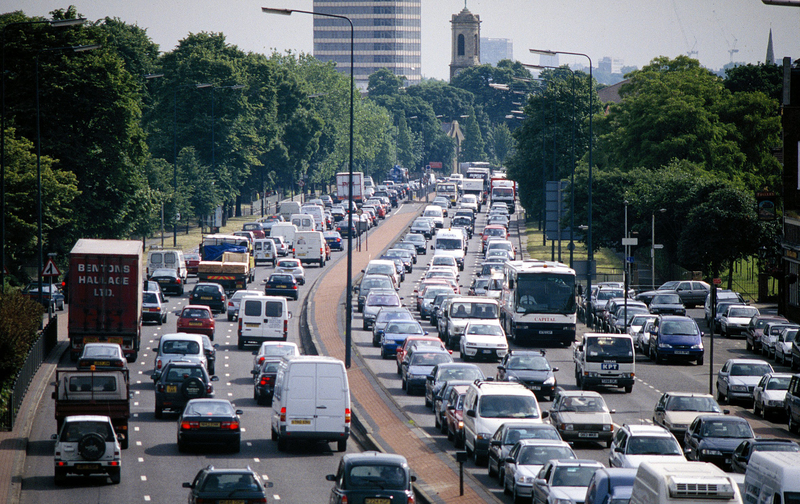 The DfT figures show that traffic levels on urban A roads are flat compared to a year ago. But urban minor roads have seen a one per cent rise in the past year, and a 6.9 per cent rise on 20 years ago. The biggest increase in traffic has been on motorways – up 2.4 per cent on a year ago and up 43.4 per cent on 20 years ago. *Provisional road traffic estimates Great Britain: January 2015 to December 2015.